Xizang (Tibet) is a majestic and richly endowed place with lofty mountains of various postures. But long long ago there was a vast expanse of sea. It did not until the Himalaya’s orogenic movement turn to be the highest plateau on the earth. Mencius, (372-288 B.C., the Chinese philosopher) one said. “When Confucuis (351-478 B.C.the Chinese educationist) at the top of Eastern Mountains, he felt that the land of Lu state was small, so did he feel the land under the Heaven while he was on the summit of Mount Tai”. Therefore one could well turn his nose at the world if he can get to the world’s roof-top–Mount Jo-mo Glang-ma, the most magnificent peak where rivers run in all directions. It is not only the source of many Asian rivers, but the centre of the wide and misty Chinese lakes as well. With multitudinous produce and abundant natural resources, Xizang covers 1.2 million sq.ms constituting one eighth of China’s land mass, nearly as large as the total territories of Germany and France. It’s leading nationality, the Xizang (Tibetan) is extraordinary. It has an indomitable character and an optimistic spirit. For thousands of years it lives in this land, struggling against the hard conditions on stormy and highland brillantly resisting all aggressions. It has, with its industrousness and ingeniousness, created a splended culture which has filled out a glorious page in the history of civilization. Althouht geographically isolated by great mountain barries, Tibet’s communication with the rest of the Chinese nationalities is never cut off. In 7th century, the mighty regime addressed as “Tufan” was founded in Noo Sa (Lhasa), the King Songtsan Ganmbo (617-650 A.D) accepted the title granted by the emperor of the Tang Dynasty (618-907 A.D.), And married pricess Wen Chen. The marriage was well-known as “the uncle and nephew relationship”. Later another Tibetan Tsanpo Khri-de Tsu-tsan married pricess Jin Cheng, adopted daughter of the Emperor Zhong Zong. Both pricesses passed to Xizang the skills of how to use farming tools, to spin and weave yarn, to rusk rice, to make wine, pottery and paper, and moreover architecture, metallurgy, medical art, calendar, literature and music. On the other hand, the Lun Weixian clan of Tibet distinguished itself in serving in the Tang Dynasty (for five generations) and was entitled as the “Great General”. According to the incomplete statistics, the Tang envoys were sent to Tibet sixty-six times. In contrast, the Tibetan came to Chang’an (the capital of Tang) on one hundred and twenty-five occassions. In the early 13th century, Tibet was officially incorporated into the Chinese administrative areas after the Mongolian’s full development on military forces and the unification of the Central Plain (comprising the middle and lower reaches of the huanghe River). Officials were sent there to take a census. A taxes and corvee system was defined. Thus Tibet became the feul of the Yuan Dynasty (1271–1368 A.D.). Tibet was constantly under the administration of the centralized government throughout the Ming Dynasty (1368-1644 A.D.). It was incumbent upon the Zhang nationalities to pay tribute to the Ming Court. In the Qing Dynasty (1644-1911 A.D.). 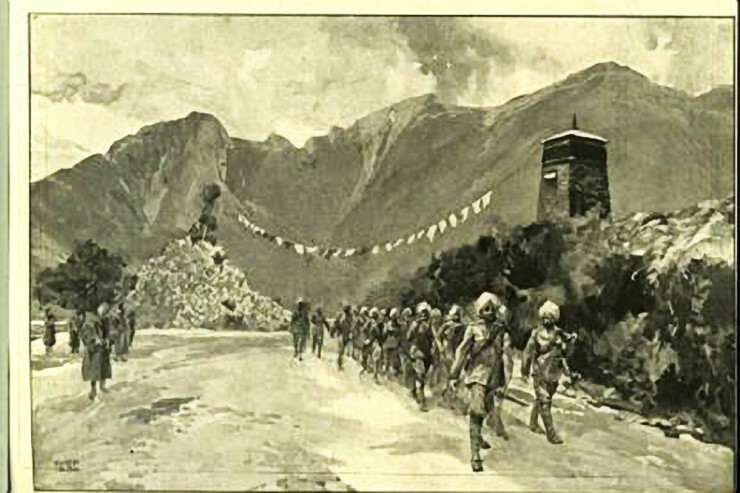 Tibet received more administrations from the central government that dispatched massive troops protecting Tibet from being repeatedly invaded, driving out the Dsungars (a tribe from the Mongolian) and putting down the rebellion in Tibetan temple. In 1727, the Chinese residents Ambans were assigned to have jurisdiction over Tibetan internal and foreign affairs. After the Dsungars two intrusions were beaten back in 1788 and 1791, the government issued a proclamation consisted of 29 items in order to build closer relations between the central government and the local authority. Since then Tibet, like the other administrative areas should obey what the Qing ordered. In spite of this, it still remained as a special region with special measures of administration. Today, being compatible with the strides of all Chinese peoples. Tibet is forging ahead at a tremendous pace.